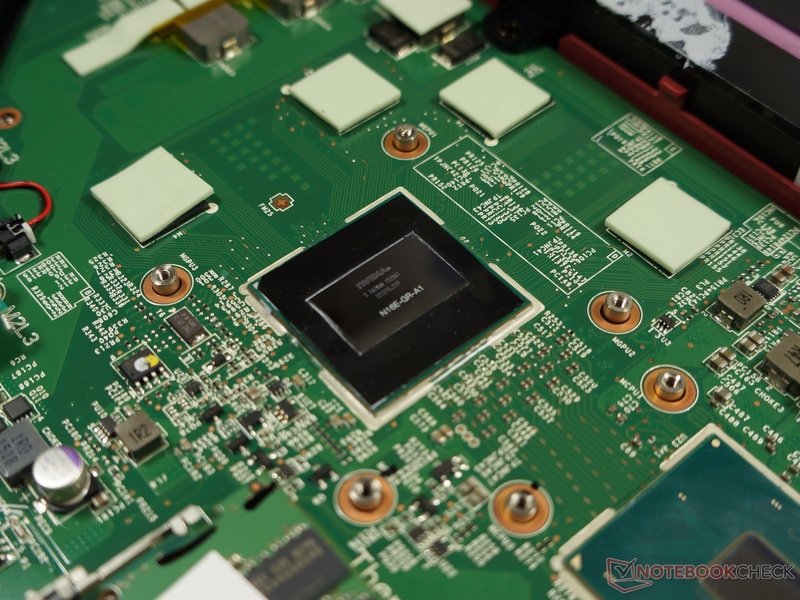 Nvidia listened to what customers want and published a faster GTX 965M based on the smaller GM206 chip. Although the number of shaders remained the same, the clock rates and the performance increased. 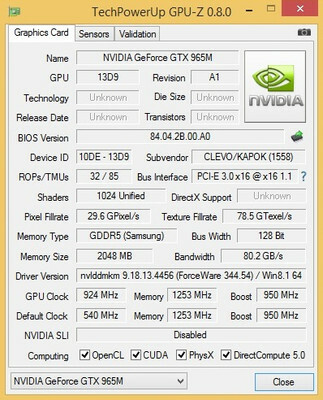 The new Nvidia GeForce GTX 965M came to us in a pre-sample of the MSI GE72. It is based on the GM206 chip of the desktop GTX 960 and thus pin compatible with the weaker GTX 960M (GM107) with the same TDP. 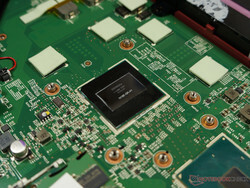 In theory, the chip also supports HDMI 2.0, but the notebook has to implement this. 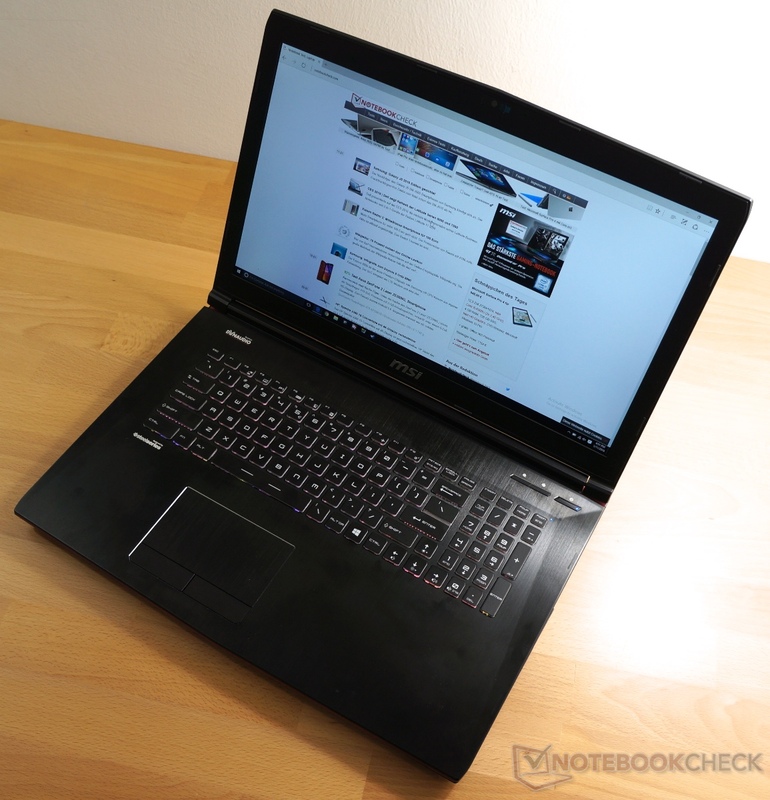 We have already reviewed the MSI GE72 17-inch gaming notebook in e.g. the MSI GE72 6QF with GeForce 970M (or 960M). However, our test model comes with the new Skylake platform. The prototype status of the device was still noticeable here and there. Thus, there could have been some room for improvements in terms of performance. MSI GE72 with GeForce GTX 965M refresh. All components can be reached after removing the underside. 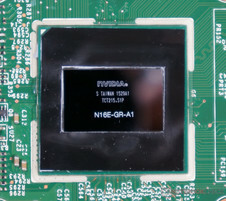 The new GTX 965M chip. With +13% on average, the new 965M performs significantly better than its predecessor. The higher clock rates definitely show through in the 3DMark graphics benchmarks. 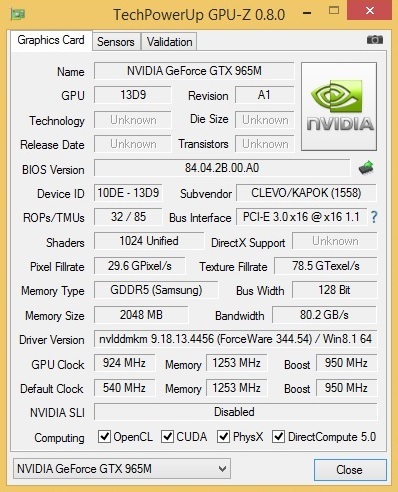 However, there remains a respectable difference of +19% to the GeForce GTX 970M in the GE72. The difference is similar in our gaming tests at maximum details. However, the advantage of the test model falls at reduced settings, and it even falls behind the "old" 965M at minimum details. However, this might be due to the pre-series status of the device. Nvidia GeForce GTX 965M (Ti): Ranks in midway between the GTX 965M and GTX 970M. In our opinion, the new GeForce GTX 965M could have definitely been called GTX 965M Ti as had been originally envisaged. The higher clock rates unambiguously prove to have an impact in our tests and would have justified giving it a special name. However, the difference to the GTX 970M still remains significant. Nevertheless, the new GTX 965M is well suitable for games in Full HD with high details. Notebooks with the new GTX 965M are supposed to be launched in Q1 2016. So far, we only know that MSI with the GE62 and GE72 and Clevo (e.g. Schenker XMG) will use the new graphics cards. Further gaming tests to the new and old GTX 965M can be found in our daily updated graphics card article.